Many people are now realising that they do not need or want a large space to live in. 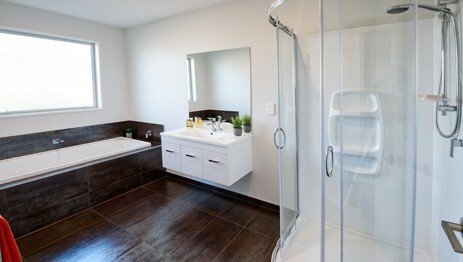 Large houses are more expensive to build, cost more to furnish and to heat and take longer to clean! 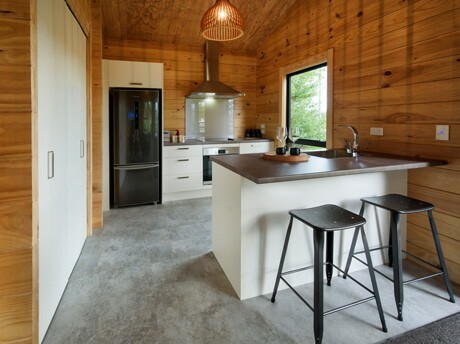 A granny flat, chalet or tiny home however can be affordable, easy to maintain and provide a truly sustainable approach to living. 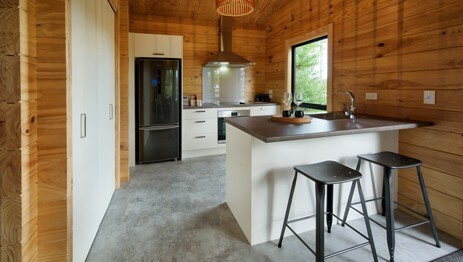 And because it’s a Solid Timber home by Fraemohs, you know that it is earthquake proof and eco friendly. As a starter home on a lifestyle block. We have a number of very clever granny flat designs available in our Solid Timber range which are ideally suited to all of these uses. While all of our homes are built on site, not pre-fabricated, there is potential to relocate your dwelling to another site if you wish to do this in the future. 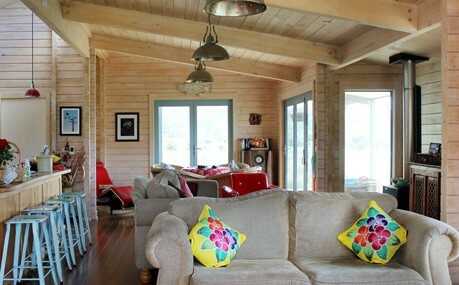 So for example, your granny flat or chalet could become a bach later down the track. We adhere to Scandinavian architectural principles to design our house plans to make the most of every centimetre of space. For example, the Karamea manages to include 2 bedrooms, a modern kitchen and open plan living area, plenty of storage space and a separate, easily-accessed laundry, all in an area of under 65m2! 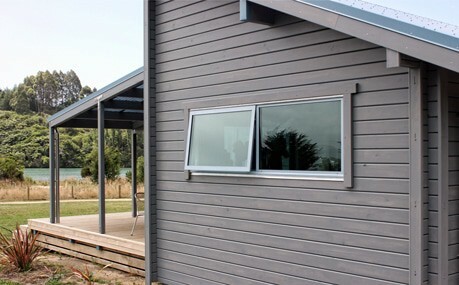 A floor area of just under 65m2 complies with the district plan requirements of many local Councils for minor dwellings or family flats, including those in the greater Christchurch area. As requirements vary around New Zealand, your local Council will be able to advise you of the specific requirements that apply in your area, or we are happy to assist you with this research, and help you develop a floor plan to suit. Other granny flat or small home options we have available include the Little Owl which has one-bedroom and a floor area of 44m2. Warm and healthy, stylish and durable. Choose your style!